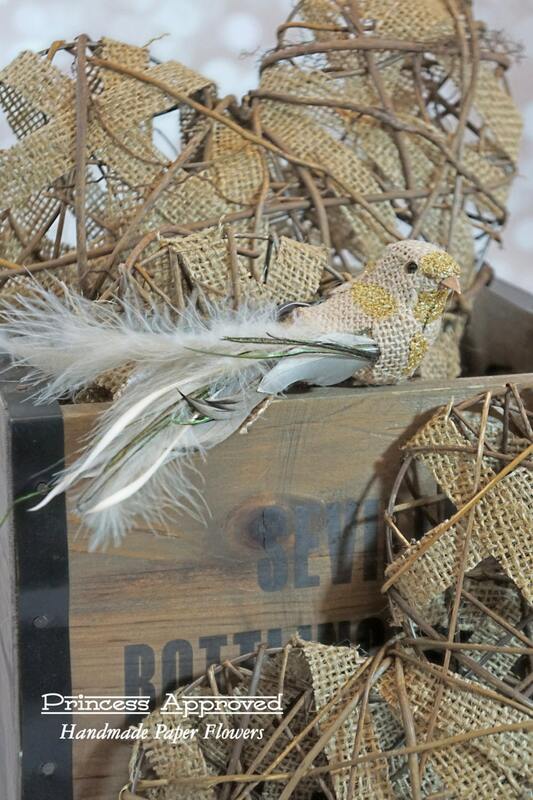 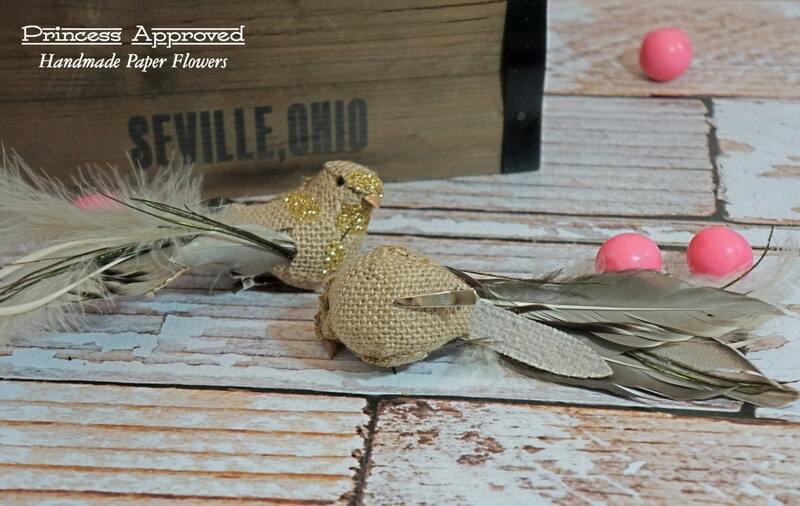 Create a rustic feel to your decor, bouquet, or event with our burlap birds! 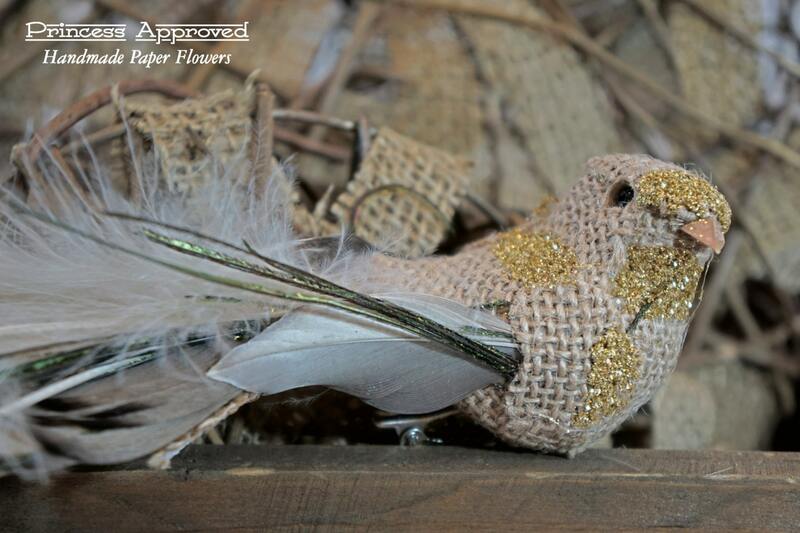 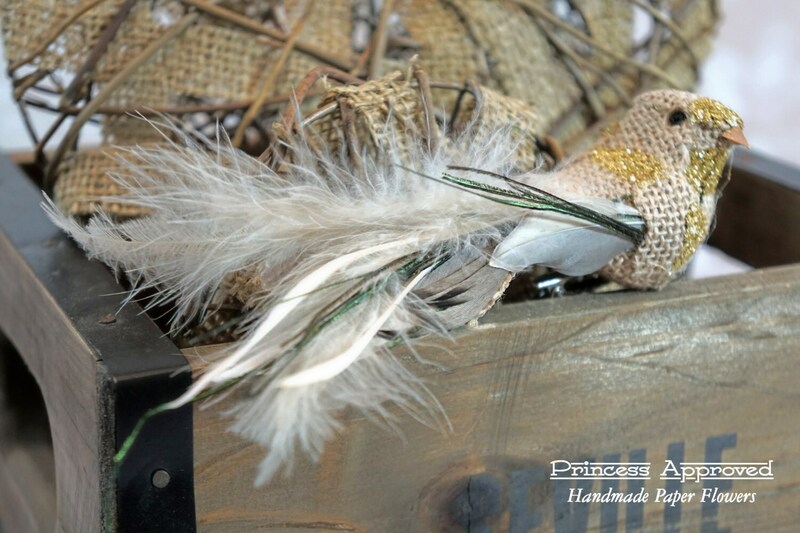 This natural burlap bird with clip is embellished with gold glitter and has long tail feathers in shades of brown and white. 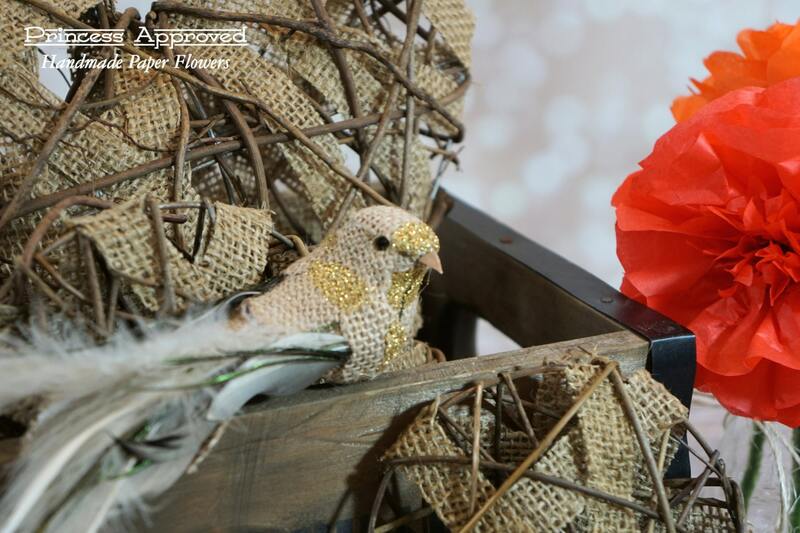 Bird measures 6.8 inches long.